Closing Time's art was designed by Cal Schenkel. Schenkel's idea for the front cover art was inspired by Waits' own idea of how the album should sound. 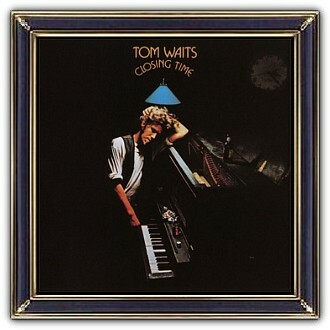 It depicts Waits leaning against a bar-room piano which is furnished with a shot of rye, a bottle of beer, cigarettes, an ashtray and a small candle with a blue pool table lamp above Waits' head. 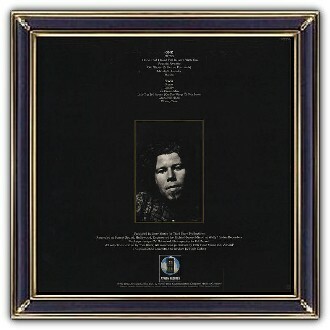 The back cover art is minimal and only features a photograph of Waits staring directly into the camera lens, reputedly taken after one of Waits' performances at The Troubadour. Both photographs were taken by Ed Caraeff. Thomas Alan "Tom" Waits (born December 7, 1949) is an American singer-songwriter, composer, and actor. 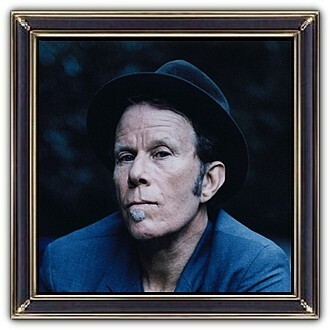 Waits has a distinctive voice, described by critic Daniel Durchholz as sounding like "it was soaked in a vat of bourbon, left hanging in the smokehouse for a few months, and then taken outside and run over with a car." With this trademark growl, his incorporation of pre-rock music styles such as blues, jazz, and vaudeville, and experimental tendencies verging on industrial music, Waits has built up a distinctive musical persona. He has worked as a composer for movies and musicals and has acted in supporting roles in films.